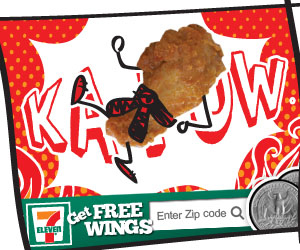 Almost four in ten respondents indicated that the ad would make them more likely to purchase wings at 7-Eleven. After the success of this original wings campaign, the client decided to roll out additional wing flavors with a new campaign using the same look and feel. Click here to see the new campaign.